In this post, I will discuss about one of the issue which we faced in Email-to-Case(On Demand). On Demand Email-to-Case was configured correctly, but the Case was not getting created in Salesforce. 1. Checked Email-to-Case Routing address configuration and it looked fine. 2. 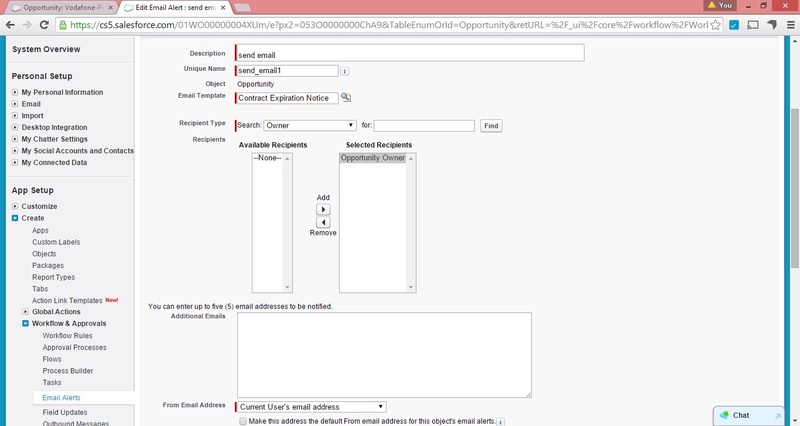 Tried sending an email to the configured routing email address(Salesforce generated email address) and the case was not getting created in Salesforce. 3. Tried increasing Debug logs but Salesforce didn’t log anything. 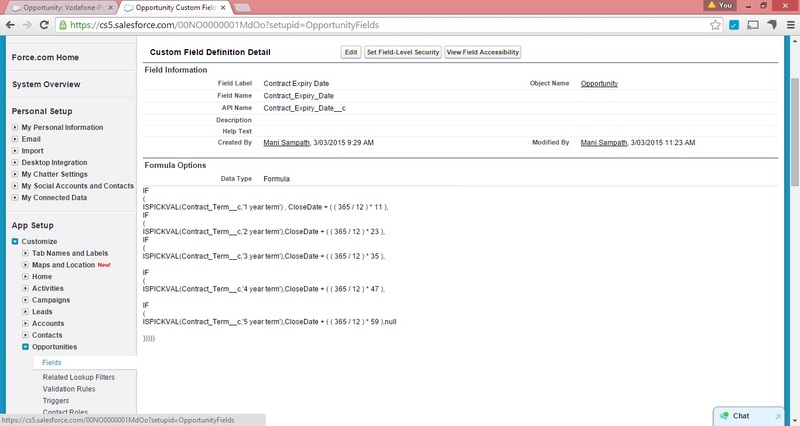 We made few custom fields required at Cases(Required at field level) and this is the reason why Case was not getting created since we didn’t supply values for them. 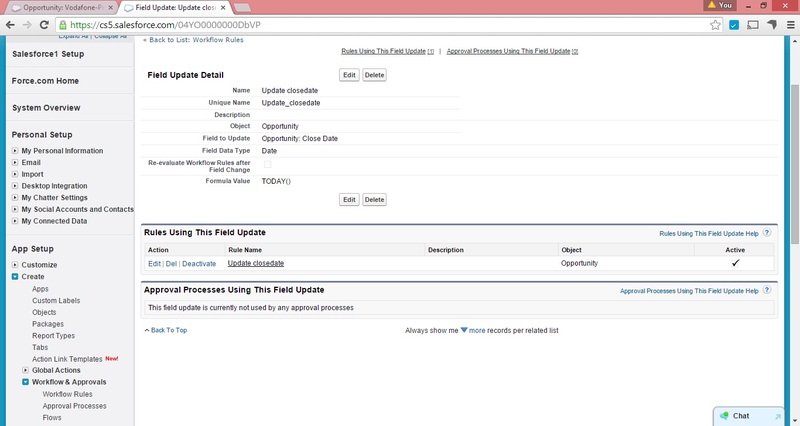 Made required at Page Layout instead of Field level so that the custom fields became mandatory only for the Cases created through UI. Comments are welcome, as usual. If Lead status is other than Qualified, don’t show Convert Button in Lead Page. Again, we want to achieve this functionality only through Configuration(Point and Click) and not through Visualforce/APEX. 1. Create 2 Record types as “Non Qualified Lead” and “Qualified Lead” for a Lead object under Customize -> Leads -> Record Types. Screenshot is given as below. 2. “Non Qualified Lead” will be set as default for all the profiles under Manage users->Profiles as per the below screenshot and “Qualified Lead” will not visible to any profile. 3. Create 2 different Page Layouts, one with Convert button displayed and other one without Convert button. 4. 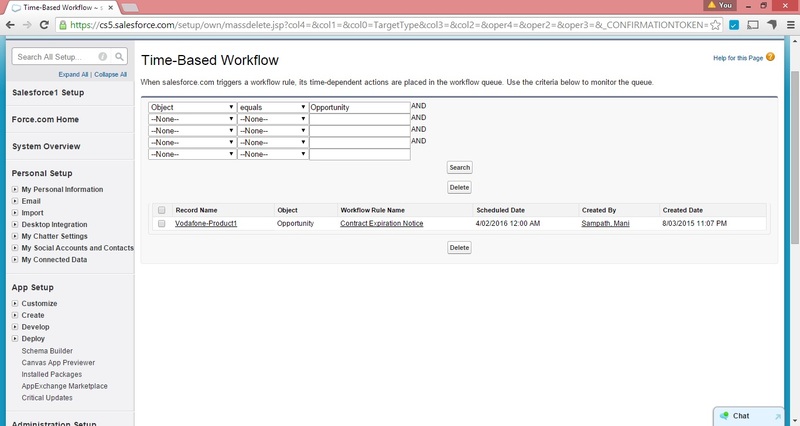 Create two workflows as given below. The first workflow updates the Lead record type from “Non Qualified Lead” to “Qualified Lead” when a lead status gets changed to Qualified. The other workflow does vice versa.i.e. Change the Lead Record type to “Non Qualified Lead” when a Lead Status is not equal to Qualified. IsConverted field returns true for a Converted Lead else return false. PRIORVALUE returns the previous value of the field. This Validation rule will throw an error as given in Error Message field, if the previous value of the field Status not equal to Qualified and IsConverted=True. Please share your comments/suggestions on this. 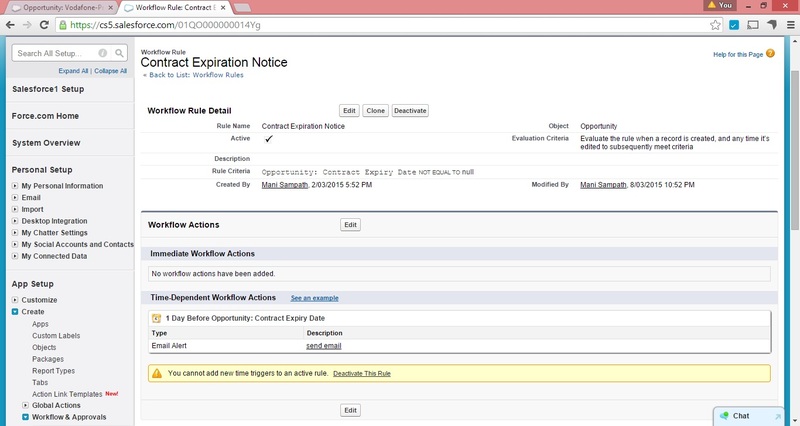 In this post, I will discuss about sending an email to Opportunity owner for Contract expiration.Contracts are maintained outside Salesforce(for instance, in Box). System should send an email to Opportunity Owner, one month before the contract gets expired and Contract Expiry Date will be calculated based on Contract Term and Close Date selected at Opportunity. For example, if the contract term is 1 year and Close date is March 8th 2015, Contract Expiry Date should be calculated as Feb 8th 2016, system should send an email to the Opportunity Owner on Feb 8th 2016.
c. Create a workflow and a Time dependent workflow action to send an email 1 day before Contract Expiry Date as per the screenshot below. 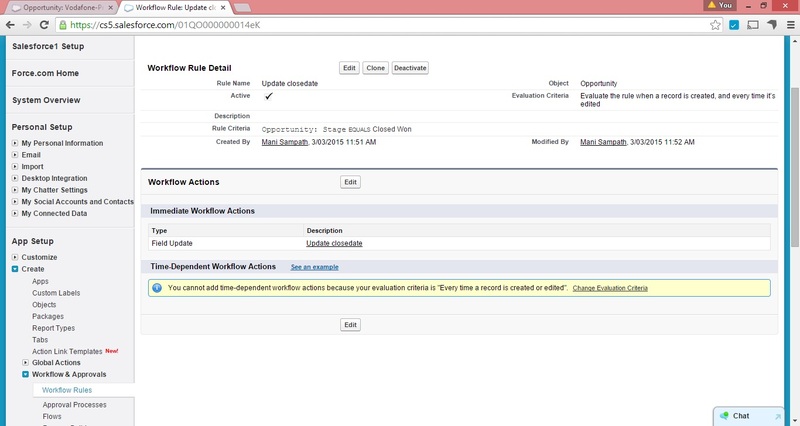 This should fire only when Contract Expiry Date is not null and evaluation criteria as Evaluate the rule when a record is created, and any time it’s edited to subsequently meet criteria. The solution I proposed above will calculate the Contract Expiry Date as 5th Feb 2016 instead of 8th Feb 2016, if the Close Date is 8th March 2015 and Contract term is 1 year. This is because of the formula which I used to calculate the Contract Expiry Date as not all months have equal no of days and the formula gives the approximate day of 1 month before (Close Date + Contract Term). I will discuss in next post to calculate the exact Contract Expiry Date.